PYC bearing is a specialized manufacturer of water pump bearings,water pump bearing,pump bearings,shaft bearings,pump bearing. Water pump bearings are used primarily in automotive water pumps and basically consist of standard double row bearings. 1) Ball-ball: with two rows of balls; WIB, BWF, WS, WK, 885000 series, etc. 2) Ball-roller: with one row of balls, one row of rollers; WIR, WN, WKH, 665000 series,etc. 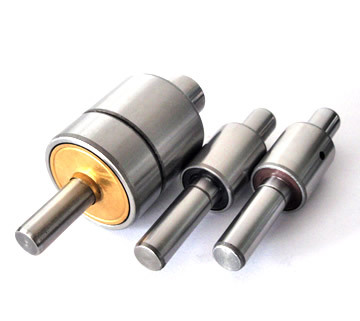 professional Water pump bearings,automotive water pump bearings manufacturer in China.We can produce Water pump bearings,Automotive water pump bearing to your requirements. if you want get more types of Water pump bearings,Automotive water pump bearing please contact us! Ball-Roller:with one row balls,one row rollers.